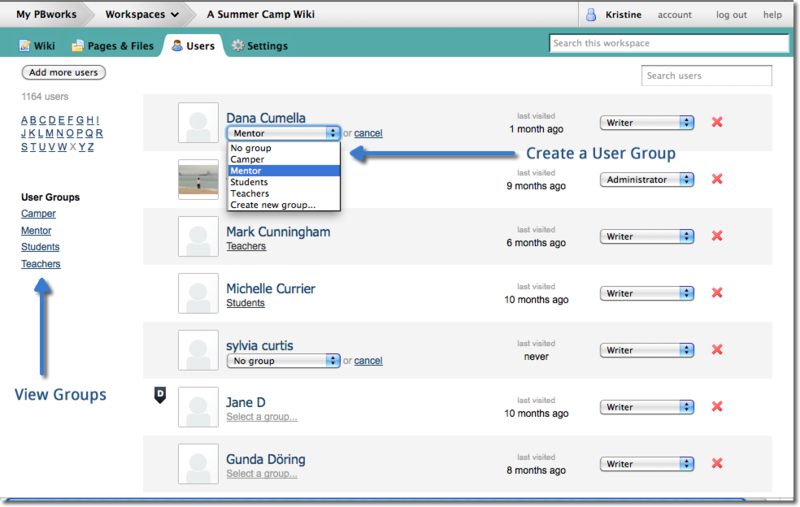 First nested folders, then user groups! PBworks really listens. Thank you so much. Is this feature available for Campus editions? All Campus Edition workspaces are premium. This feature is available for all premium workspaces, including those on Campus Edition. I love pbworks. This is the best Social network. 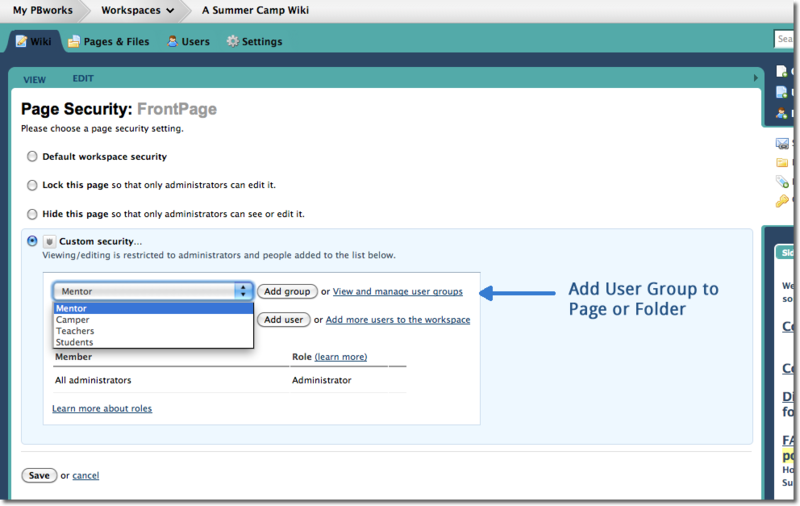 How can a user assigned to a group ‘see’ their group assignation?